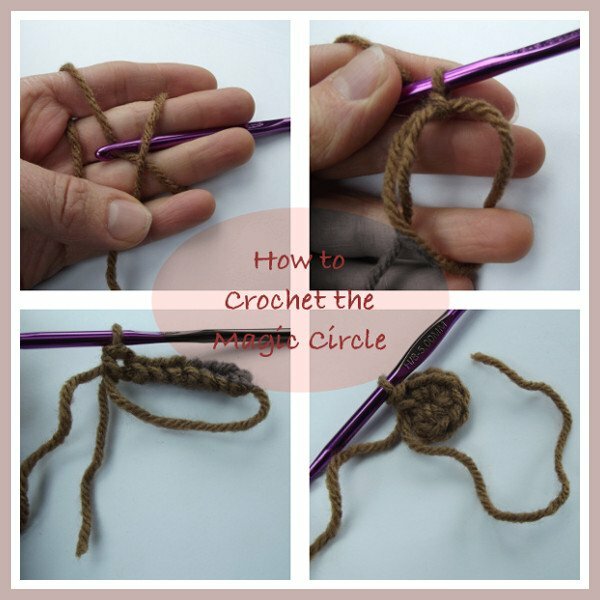 The magic circle, also known as the magic ring, is a great way to start your crochet pattern when you want a nicely closed center. 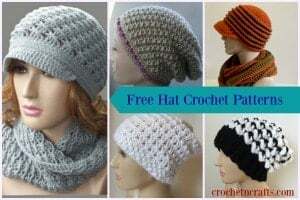 This starting method is commonly used in amigurumi crochet patterns, but it is also suitable for any circular crochet project like hats, round dishcloths and hotpads, doilies and round blanket or afghan squares. The magic circle is very easy to make. 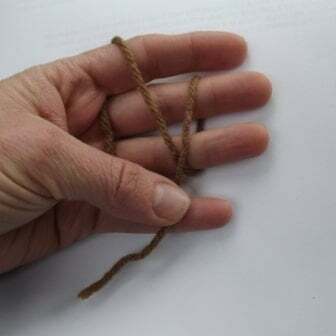 You just need to know how to wrap the yarn around your fingers in order to get it started right. You might have your own way to wrap it around, but below is what I do when I need to make one. I rarely use the magic ring in my patterns, but you will see it from time to time. 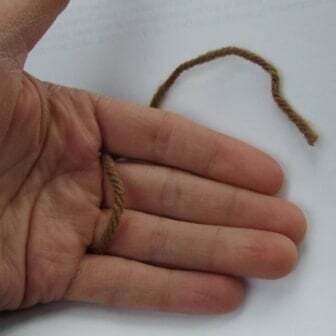 Step 1: When I first learned how to make the magic circle I could never remember how to weave it around my fingers in order to start it properly. 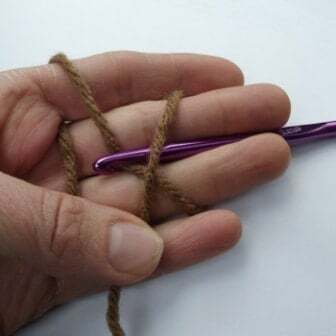 So I came up with this method: I wrap the yarn around my fingers the same as I would if I were to crochet. This helps me to secure the ball end of the yarn. 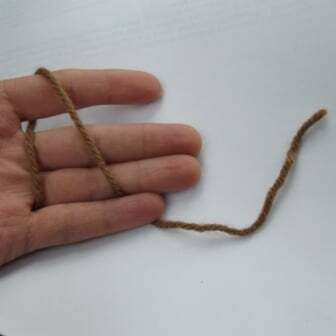 Weave the yarn around hand to secure. 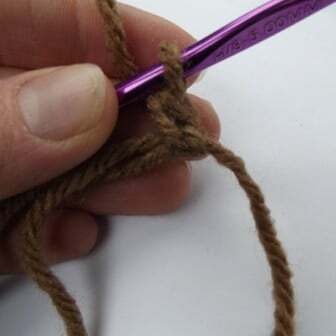 Step 2a: Then I bring the tail end down and wrap it around my center fingers. The tail end is secured between my thumb and pinky. Bring the tail end down. 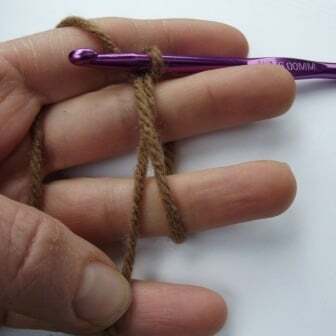 Step 2 b: Wrap it around the center fingers and secure between thumb and pinky. Wrap around fingers most comfortable. Step 3a: Insert the hook underneath the loop and pull the ball end through. You now have one loop on hook. Step 4: Make your starting chains. For this tutorial I made one chain because I’ll be working with single crochets. For double crochets you would make at least two, and so on. 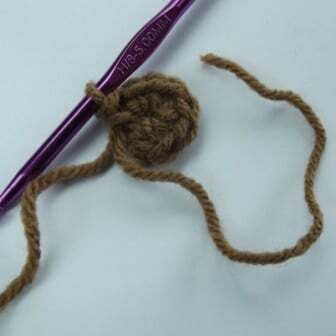 Step 5: Make your first single crochet into the circle making sure to work it over the tail end of the yarn. 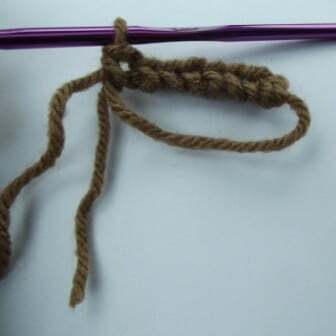 Step 6: Continue to single crochet into the ring and over the tail end. Continue to single crochet into circle. 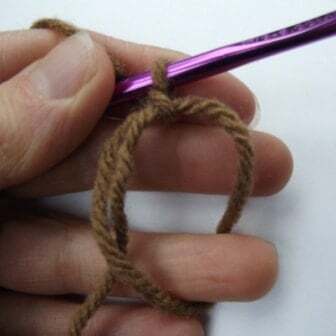 Step 7: Once all stitches have been made, pull the tail end tight in order to close off the circle. I have tried several other tutorials for the magic ring, and I could never get it. Yours worked for me! Thank you so much. I’m still not sure that it’s any better than the old-fashioned crocheting into a chain, but at least I can now use this when I want to. Thanks again. I love all your tutorials! I have learned so many stitches since I found your site. I am so thankful for all the hard work you do for us. Great Job!! And this tutorial did not disappoint . I to have tried the magic circle and failed in the past and you just helped me make my first magic circle. Well Done! This is something I will use a lot in the future.